TheHoustonBlackPages Home | Contact Us Google+ Join Us on Facebook! Sign Up for our E-Blast! Houston's Online Black Market! 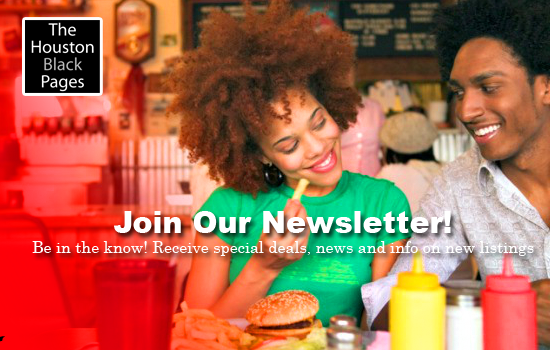 Find Products and Services from Houston's Black Business Owners! Choose a Coupon Category and Save Money! Choose a Business Category and find a Local Business! Please join State Representative Shawn Thierry from District 146 and fellow active members of our community for Hot Pancakes (with a side of good politics). The event will be held at Luby’s Restaurant on 1727 Old Spanish Trail, in Houston, Texas on December 23rd, from 9:00 a.m. - 11:00 a.m.
TheHoustonBlackPages.com is a premier online directory promoting African American businesses, Houston events, and resources around the Greater Houston and surrounding area. 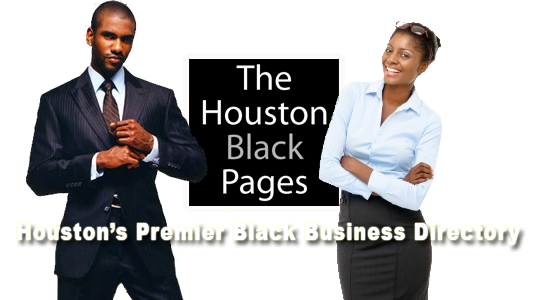 TheHoustonBlackPages.com offers African Americans professional networking support and business support. Would you like to use our mobile Platform? We've detected that you're using a mobile device. Would you like to switch to mobile views? Our mobile platform offers simplified mobile browsing and allows you to locate Houston Black Businesses that are closest to your current position. I love you Lord, and I give my life to worship you.